which feeds the bees big time in the Spring. Because frosts are still a possibility, we have been very reluctant to unseal the hives. In fact, the hives which we have opened and inspected, still have a small 4 watt xmas bulb keeping the brood warm. This past winter was really a challenge for bees and people here in Southwest Nova Scotia. fully stuffed with greenish yellow pollen. 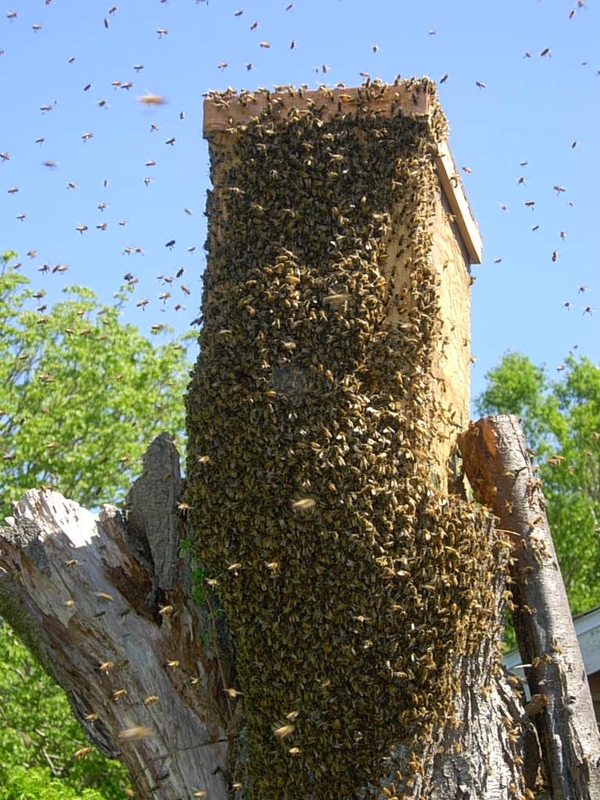 Bello Uccello’s honey bees have survived another challenging winter , with some hives being more resilient than others. the bees were arranged in their hives as they were. Apparently the Bees and their Hive wish to be located on the intersection of ley lines of the earth and they wish to do this because they thrive on such locations. In Europe, when you are about to build a house, you hire a dowser to come and find the ley lines on your property so your home can avoid them .Feng Shui is another practice from China where these energy lines are seriously considered in creating health and harmony in gardens,homes and businesses. Unlike Human Beings, the bees love the intersection-points of ley lines! The Universe is a mystery and so is everyday life. Although our ancestors seemed to know these very helpful things about nature and living things and water; for the most of us, we have forgotten about rhythms and cycles., We have somehow been educated right out of the truth of our natural life and it is hard to find such simple knowledge about ourselves and our relationship to the web of life on this beautiful planet. We can thank people like Joanne Paungger of Austria, whose grandfather passed along to her his deep wisdom on such matters and which she has put into a number of books that have significantly influenced the growth of the organic movement in Austria and Germany over the past years. Although we have found wells with dowsing rods and located our house to avoid ley lines which could make our home unhealthy for living, we still had to wonder about this information regarding bees locating their nests on the ley lines. Soooooo, probably just like you, we too had to test this claim out and see if it is indeed true. Years ago we purchased some dowsing rods to find water when we were building our new home and so we brought them along and off to the Sanctuary we went with the usual bit of excitement and skepticism which protects our credibility. The first hive we tested was exactly centered on an intersection of the ley lines. it also happened to be the most robust hive in the Sanctuary. 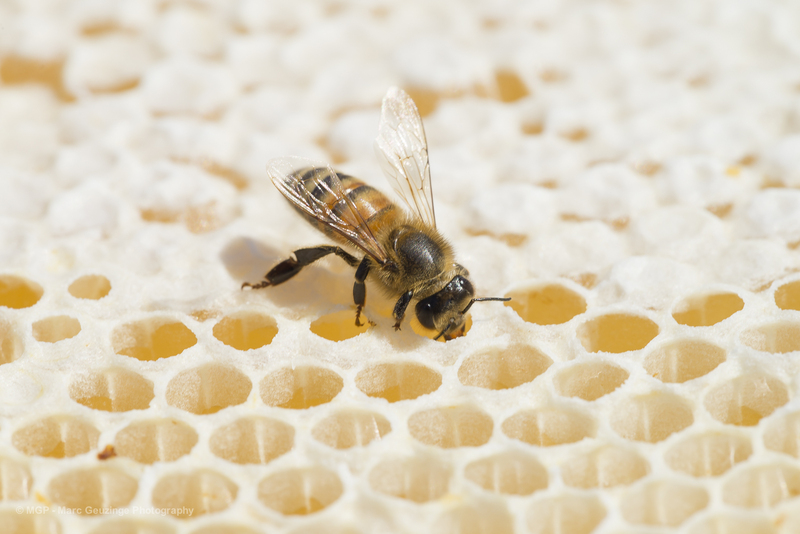 Every hive in the Honey Bee Sanctuary was either on an intersection or on one of the ley lines. The bees and Klaus had definitely worked out the locations for the hives quite well. The ones on just one ley line were not as strong a hive as those sitting on the intersection of ley lines. 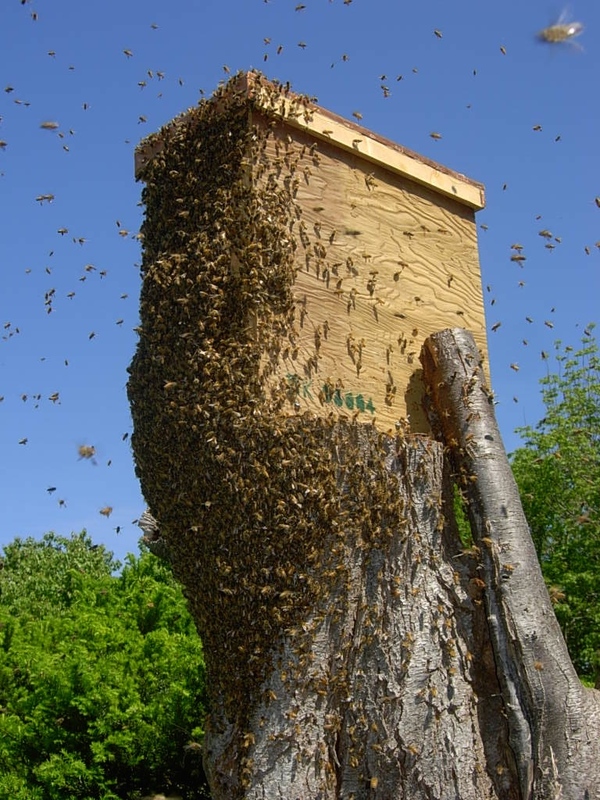 In the top bar hive the bees were all crowded over to the ley line crossing which just passed through the hive on one side only. Obviously they went over to the South side for the food and then went back to the other side where the energy line was located. This proved to be true with two other hives in the Sanctuary. At the out apiary the bees proved this ancient wisdom to be true also. Needless-to-say we have inched the hives which were on one line only on to ley line intersections and we will note with interest in the coming season the results of every hive being placed the same in relationship to the earth’s energies ..
place your bed in a place which totally IS NOT on any of the ley lines. This is especially true for a baby’s crib. “MoonTime” author is the granddaughter of an Austrian farmer who passed on to her all of his old knowledge about living symbiotically with all life and being cognitive of those relationships. We love the book and everyday we discover other really helpful and forgotten wisdom of our forefathers. Biodynamic farming is another example of the ancient wisdom of Human Beings being almost lost, until Rudolf Steiner renewed that body of knowledge which has now brought us the highest standard of agriculture in the world. This is not a belief system, it is a written record of our heritage and the deep connectedness we Human Beings have with the Earth and the Cosmos.